Law Offices of Bryan Musgrave, P.C. June 6, 2018 By Law Offices of Bryan Musgrave, P.C. Many Americans do not get enough sleep at night. If you lack sleep and choose to drive, your level of impairment may be similar to someone who is driving after drinking alcohol. Drowsy driving statistics show that drowsy drivers cause many accidents each year. It is important for all drivers to get enough sleep before hitting the road and to pull over if they become tired while driving. If you are the victim of an accident caused by a drowsy driver, you can count on the Law Offices of Bryan Musgrave for help. We can assist you in a variety of legal areas, including cases involving car, truck, and motorcycle accidents. According to the National Highway Traffic Safety Administration, an estimated 100,000 accidents that are reported to the police each year are caused by drowsy driving. These accidents result in 71,000 injuries and 1,550 deaths. Plus, drowsy driving is underreported, meaning that the negligent driving behavior likely happens much more frequently. In a recent study that was conducted by the AAA Foundation for Highway Safety, drowsy driving was found to be a factor in nearly 10 percent of all accidents. The organization estimates that drowsy driving is involved in an average of 328,000 accidents each year, resulting in 109,000 injuries and 6,000 fatalities. A previous study by the AAA Foundation for Highway Safety found that drivers who only get between five and six hours of sleep at night have twice the risk of being involved in an accident the next day. For drivers who only get four to five hours of sleep at night, that increases to four times the risk. And for people who get less than four hours of sleep at night, it increases to twelve times the risk. According to the National Sleep Foundation, 60 percent of adults in the U.S. report that they have driven while they were drowsy. One-third of the respondents reported that they had fallen asleep behind the wheel while they were driving. The organization also compared reaction times between sleep-deprived drivers and alcohol-impaired drivers. It found that people who had stayed awake for 18 hours out of the previous 24 had similar reaction times to people who had blood alcohol concentrations of 0.05 percent. 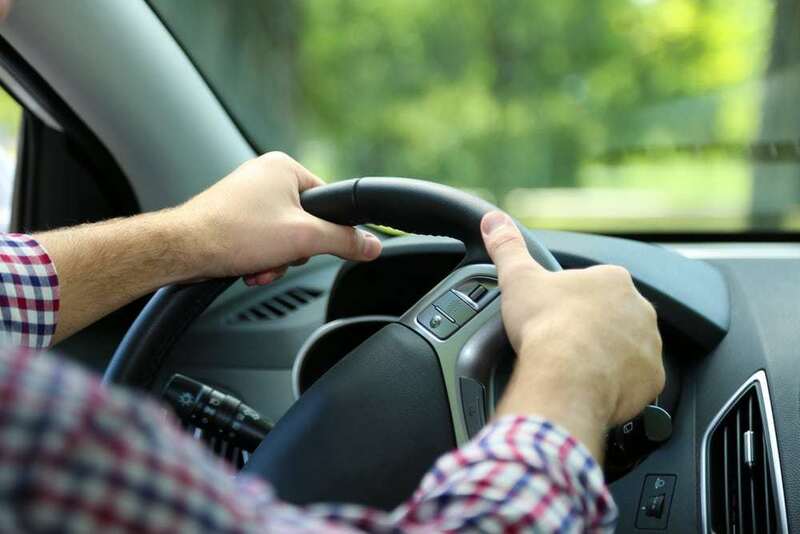 Those who were awake for the 24 hours prior to driving had similar reactions to people who had blood alcohol concentrations of 0.10 percent, which is above the legal limit for driving. Drowsy drivers place both themselves and others around them in danger. Fatigue makes it more difficult for drivers to stay alert and focused on the road. Drowsiness may also slow their ability to make quick decisions and to react on time in the event of emergencies. In addition, people who are drowsy may fall asleep behind the wheel and collide with other vehicles or run off the roads. According to the Centers for Disease Control and Prevention, drivers who are most likely to drive while drowsy include people who do not get enough sleep at night, people suffering from sleep disorders, commercial drivers, people who perform shift work, people who take certain medications, and intoxicated people. If you begin showing any of these symptoms, you should immediately pull off of the road and get some rest. You should always try to get at least seven to eight hours of sleep every night. If you are unable to get this much sleep during the night, try to take a nap in the afternoon. This can help you feel more rested so that your attention can remain focused on the road while you are driving. If you wake up frequently during the night or do not feel rested, you might want to talk to your doctor. You might have sleep apnea or another condition that is preventing you from getting restful sleep. Drowsy driving statistics show the extent of this serious problem in the U.S. If you are involved in an accident with a drowsy driver and suffer an injury, you will likely need legal assistance. An attorney can investigate the cause of the crash to uncover evidence that the other driver was engaging in drowsy driving. Contact the Law Offices of Bryan Musgrave today to schedule a free consultation. Our attorneys have many years of experience with cases involving car accidents, truck accidents, and motorcycle accidents. To get started, please click here.